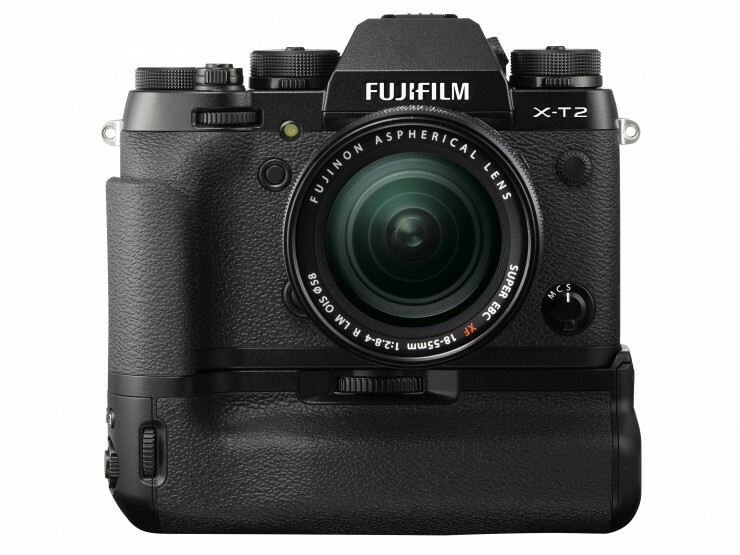 Fujifilm has appealed to the lucrative indie filmmaker/videography market with its latest flagship mirrorless cameras – the X-T2 – by featuring elements specifically for film production workflows in its design. For starters (as a surprise to know one) the camera shoots in the ever popular 4K UHD (3840 x 2160) resolution in 8-bit ProRes 4.2.2 @100Mbps (via HDMI), with up to 19-mins of continuous video recording. 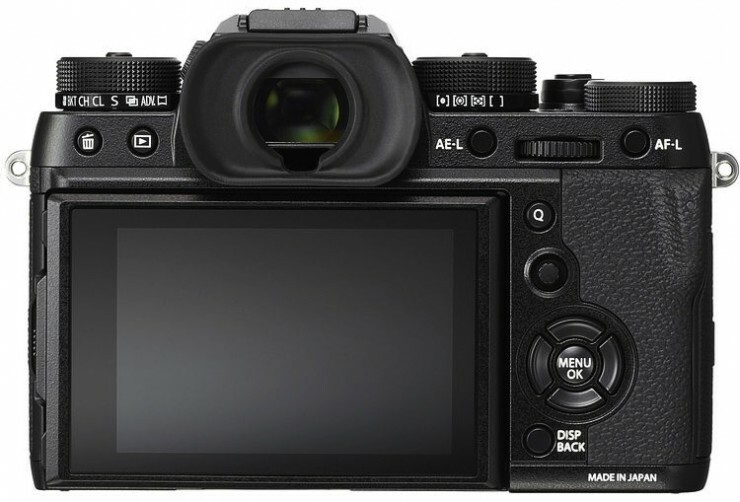 It also features a new 24.3-MP proprietary X-Trans CMOS III, ASP-C sensor, with no low-pass filter and a 6×6 colour filter array pattern that the company says will reduce moire and false colours. Which means that the camera’s X-mount can take full advantage of Fujinon’s entire range of cinematic ASP-C (capable) lenses. 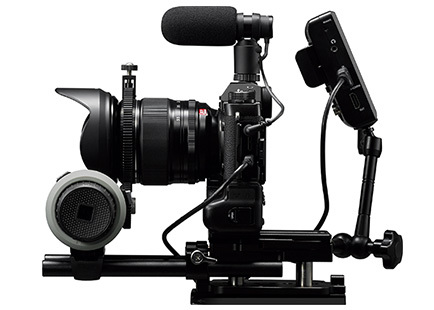 An optional M-mount adapter is also available. Other video/filmmaking features include a new F-Log Gamma option and the ‘Clean HDMI’ output (for recording to external devices and monitors). Along with a vastly updated Auto-Focus, with 169 phase-detection points and a new customisable ‘AF-C’ setting (which can be saved to 6-Presets). This setting allows users to track specific objects/people by locking the focus to three different parameters – ‘Tracking Sensitivity’ (locking-focus to your subject’s appearance in/out of frame), ‘Speed Tracking’ (locking-focus to your subject’s motion) and the very cool ‘Zone-Area Switching’ (locking-focus to your subject’s movements forwards/backwards along the Z-axis). On paper the AF-C setting sounds as though it could (virtually) allow users to pre-program any of their focus-pulls. However, how it responds when you’re actually using the camera on-set, remains yet to be seen. It might be one of those functions that you want really badly when buying a camera, but never use a single time. For those who like to use in-camera cinematic ‘looks’, the X-T2’s ‘Film Simulation’ modes can be applied to both stills and video capture. With 15 simulated modes to choose from, including the new ‘ACROS’ mode for shooting in monochrome with custom set tonal hues. Further fine-tuning options become available when shooting video, such as ‘Highlight Tone’, ‘Shadow Tone’, ‘Colour’ and ‘Sharpness’. Other improvements include a faster startup time (0.3-seconds), and a 100fps live-view EVF (electronic viewfinder) with a 0.77x magnification ratio. The camera’s 3-inch LCD screen can also be tilted in three directions. Pictured with optional VPB-XT2 grip. When shooting stills, the camera features a shooting interval of 0.17-sec and shutter-release lag of 0.45-sec in Boost mode, when combined with the optional VPB-XT2 (Vertical Power Booster) grip. 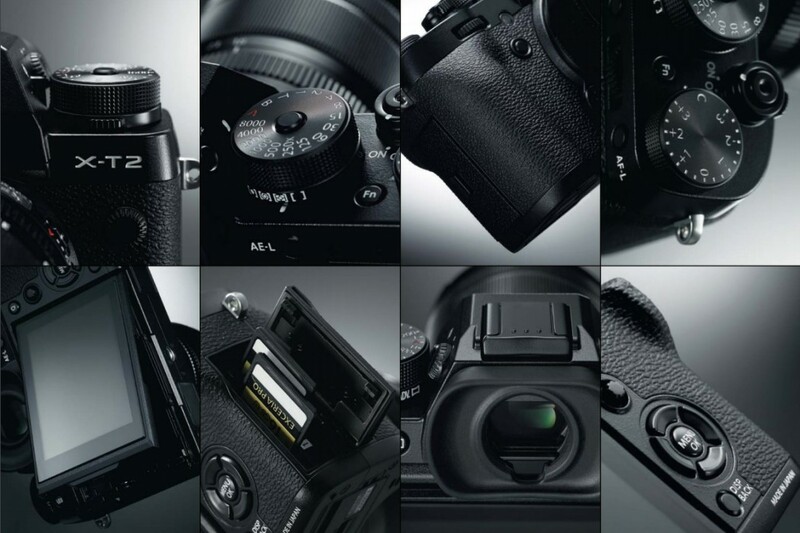 Also, the camera is equipped with both a mechanical and a fully electronic shutter (for high-speed and silent stills photography). The camera body is made from magnesium alloy and is dust-resistant, water-resistant, and able to operate in temperatures from -10C to 40C. The new Fujifilm X-T2 camera shown with Fujinon XF 100-400mm F/4.5-5.6 R LM OIS WR lens (note: camera body and lens sold separately). 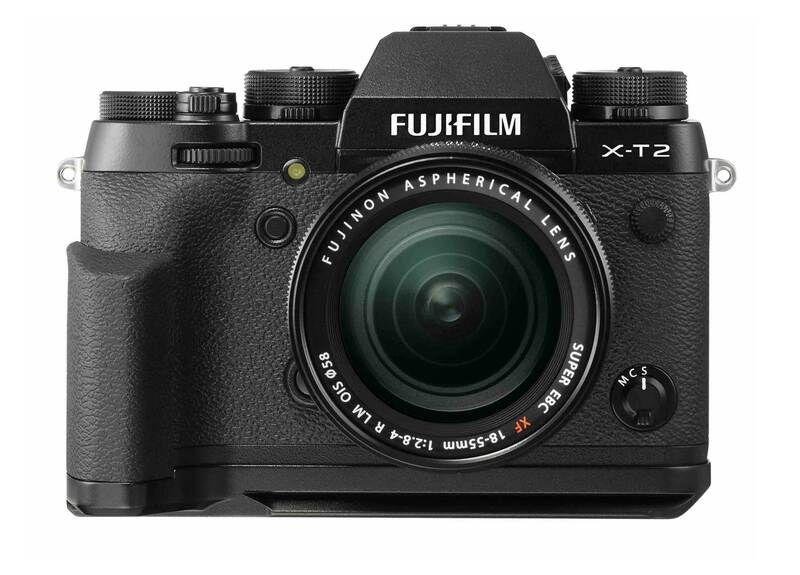 The X-T2 is currently available on pre-order (through Amazon) for US$1599 (Body only) or with Fujinon 18-55mm F2.8-4.0 Lens Kit for US$1899 and will begin shipping in September, 2016.